Keeping abreast of the trends or development of business blogging is essential to any small business that hopes to keep up with the competition. These trends change quickly, but there are ways to use blogs to keep yourself informed. Here are a few of the trends that have emerged in the last few years that have had an impact on the world of business blogging. Wordpress, MovableType, TypePad - Technically, a blog is simply an online journal - and indeed, the first blogs were "hard-coded" HTML that was simply updated by intrepid programmers with something to say. Some would include things like comments or search engines as their content increased, and gradually a need developed for a platform that would be accessible to non-technical business leaders as well. Where Livejournal and Blogger filled the need for more personal websites, Wordpress and other sites like Movable Types and Typepad brought a robust list of features to the professional world. These included things like threaded conversations, metatagging and another trend, RSS feeds. Really Simple Syndication - A business blog without an audience is not really very useful to a company. A good blog can serve as a marketing tool, an information broadcaster, and a customer relations developer all in one, as long as people can read it. By using RSS to subscribe and read your blog in their "feed readers" (something like an online customizable newspaper) your business blog will be easy to access. Podcasting - Right along with RSS came the ability to digitize and easily distribute sound files (or video through sites such as Seesmic). This combination gave business bloggers a voice, and the ability to use the power of sound to reach their audience. Just as the feed reader enabled people to tailor their reading habits to their interests, the podcast enables people to listen to the content they really want - which, if your business does it right, includes your show. Part of the allure of the podcast is the personalized nature of it - rather than being a highly-polished radio show, it is an independent connection between the podcaster and the listener. Some businesses miss this point and treat podcasting the way they would treat a press release - however, that usually means their podcast will "podfade" away due to lack of audience. Podcasts are also an excellent way to keep abreast of trends or developments in business blogging. For Immediate Release is one example of a very useful source of information. Facebook, LinkedIn and Other Social Networks - While FaceBook was originally designed for people, corporations eventually realized they had a place in the social network sphere as well - with groups forming around companies like Rhodia notebooks and Griffin iPhone gadgets, for example. LinkedIn was formed specifically for businesspeople to network and get in touch with each other. 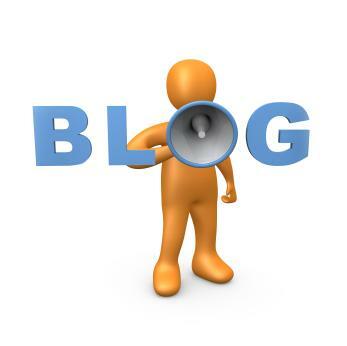 Both platforms provide links to your business blog, and should be listed on that blog as methods of contact. Twitter and Microblogging - While Twitter is the big dog in terms of microblogging, there are others such as Tumblr. Microblogging has become one of the strongest forces in the marketplace in recent years, with the intensity of a compressed message, less than 140 characters, driving people to express themselves and listen to others with an immediacy unrivaled by other media. Businesses are learning to use this media in much the same way they learned to use blogs - to communicate with their clients and establish relationships with potential customers and colleagues alike. A full listing of the developments of just the last five years is far beyond the scope of this article. Meta-tagging, Digg, MoBlogging, and Unconferences are all innovative elements to the art and science of blogging, whether for business or personal enjoyment. However, by listening to podcasts as mentioned above, and by using your own feed reader to read bloggers such as Heidi Miller, a social media and promotion expert, you can keep track of this ever-changing and exciting field.